When users sign up for Zapier, a productivity tool that automates tasks between different apps, they're taken to an exploration page where they can review and experiment with the tool's multiple possibilities. 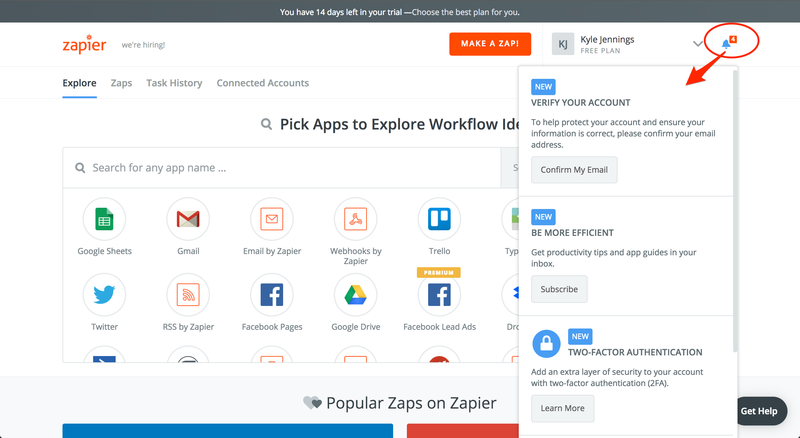 Zapier tucks away account-keeping tasks into the notifications inbox, marking where users can access them when they're ready. 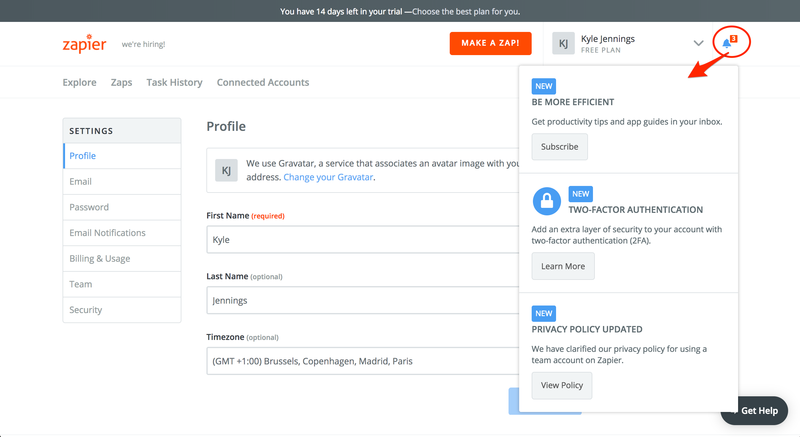 Zapier drives new users to its core value, setting up automations between apps, making sure not to interrupt their user experience with tasks that won't bring them immediate value (like verifying their account or setting up a two-factor authentication). The app marks the account-keeping tasks with a red bubble over the notifications tasks to draw the users' attention once they're ready to take those steps. Incorporating these tasks into the notifications window helps users get familiar with the app and trains them to review notifications they will receive in the future. As users complete each task, the number in the red bubble goes down showing users the number of unread messages in real time, reminding them to take action.